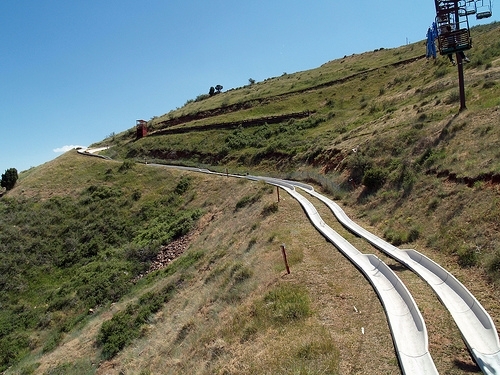 Adventure-seekers interested in taking on a new challenge may be interested in the alpine slide. These slides, which resemble water slides found in warmer climates, have been enticing thrill seekers from all over the world to give them a try. 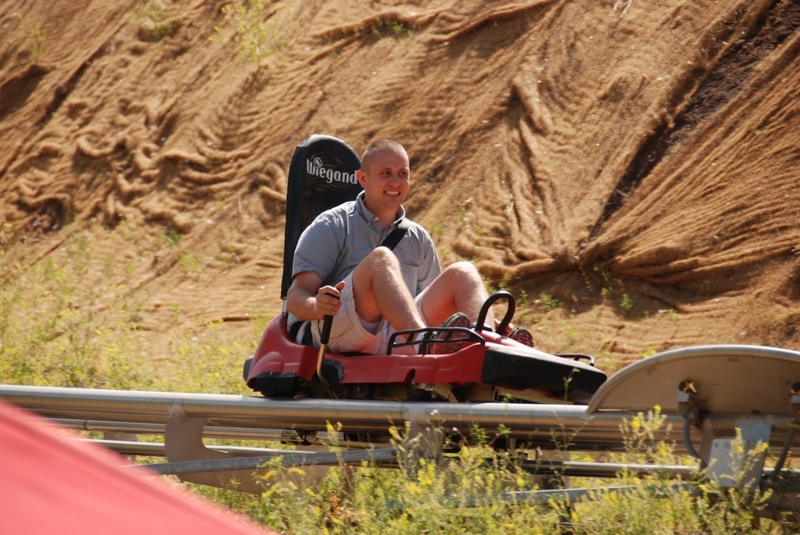 While the majority of the alpine slides are found in the United States, there are quite a few popular slides in places like Germany (where they call them Sommerrodelbahn) all the way to to China. The best way to describe the function of an alpine slide is to compare it to its cousin, the bobsled. 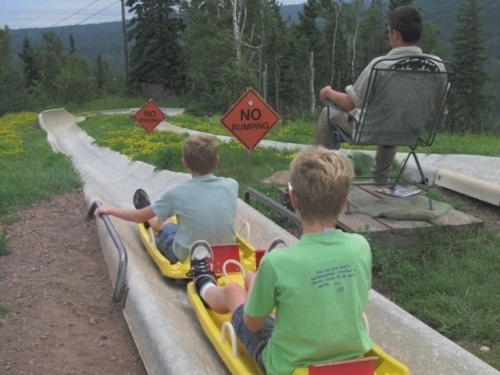 Unlike the bobsled, the alpine slide is a smooth, continuous track that is often built into the side of a hill and does not need ice to operate. Ski resorts typically install these slides as a way to attract business year-round when the weather is too warm for skiers and snowboarders. Riders sit in a one or two person cart that has a hand control in the middle. What makes this ride unique and a preferred choice for thrill seekers that may still be a little intimidated by the experience is that the hand control allows the rider to have full control over their speed. Controlling the speed of the cart is essential to prevent accidental roll-overs or injuries. Why Do Ski Resorts Spend Money on Alpine Slides? As previously stated, alpine slides are installed and managed by ski resorts as a way to supplement income during the summer months. In places like Colorado, where skiing is limited to certain months during the year, installing a slide helps resorts stay relevant with summer travelers. 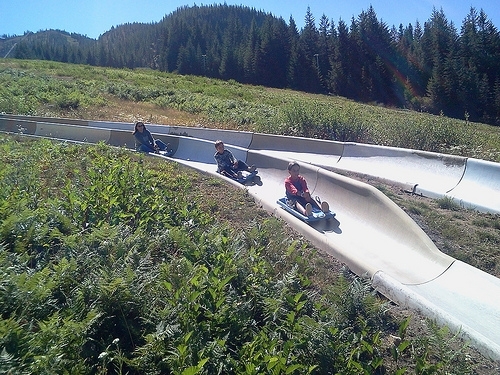 In fact, over the past several years, many ski resorts throughout the country and across the globe have noticed a trend in travelers booking summer vacations just so they can experience the thrill of the alpine slide. Where Are the Popular Alpine Slides? Colorado is one of the most popular destinations for alpine slide seekers. Resorts like Breckenridge Ski Area, The Winter Park Resort, Durango Mountain Resort, Heritage Square and Howelsen Hill all boost world-class alpine slides. Riders can expect a trip down one of these fast slides to cost anywhere between $8 and $15 dollars, depending on the length of the slide and the age of the rider. What Are the Dangers of Alpine Slides? As with any thrill ride, there are bound to be risks. Alpine sliding is no exception. The greatest risk that riders face is operating the cart recklessly. Resorts that operate these slides often give quick lessons to riders, but there are some resorts that do not provide adequate instruction. To avoid accidental injury or death, riders should always wear helmets. If the operator of the slide does not provide this basic safety gear, riders should consider choosing another slide operated by a different resort. Riders should also always follow the suggestions for how many riders can be in a cart. Overloading a cart with more riders than it can handle will put you at risk for accidents and injuries.